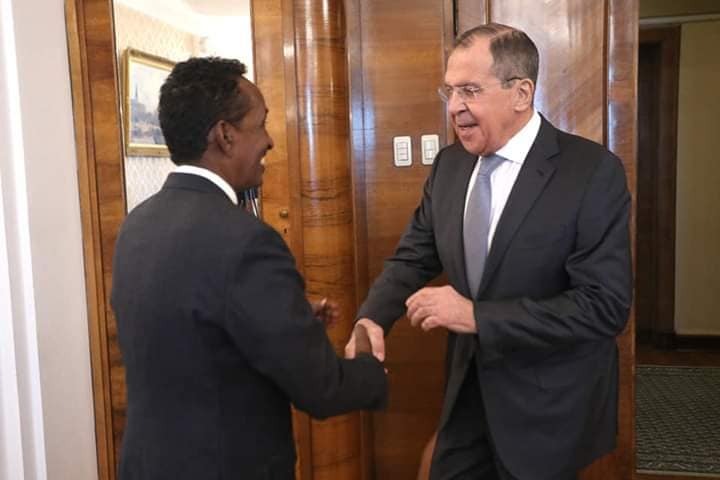 Moscow– The Somali foreign affairs & international cooperation, Ahmed Isse Awad who is visiting Moscow on Monday met and held talks with Russian counterpart, Mr. Sergey Lavrov. The two sides held discussions which focused upon enhancing cooperation in various fields. Somalia’s FM and Russian counterpart also discussed bilateral ties and regional situation. Mr. Ahmed Isse Awad has thanked Russia for standing by Somalia at international arenas and has stressed the importance of boosting the bilateral ties between the two countries. Somalia’s foreign minster arrived in Moscow this afternoon and is expected to attend a high level ministerial meeting the 5th summit of Russia and the Arab countries.